★ Phone Bill Casino ★ RoyalSwipe.com™ - Play Now! We offer aWelcome Bonus 100% up to $/£/€100 + 20 Free Spins on Shaman's Dream on your first deposit! Join us today! You can deposit and play using your mobile phone bill at RoyalSwipe. 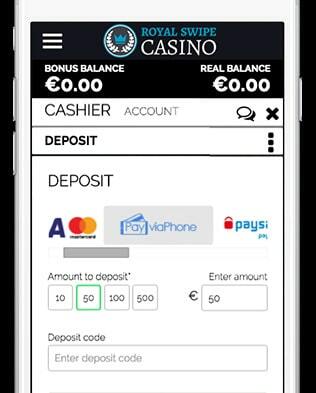 RoyalSwipe casino recommends you the option to deposit using your phone bill. If you choose to do so, a free Welcome Bonus 100% up to $/£/€100 + 20 Free Spins on Shaman's Dream can be claimed! 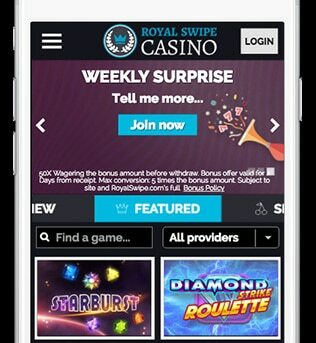 Let’s say you deposit £10, then RoyalSwipe is giving you a match bonus of £20 +20 free spins to play with! Play our wide selection of Phone Bill Slots right now. 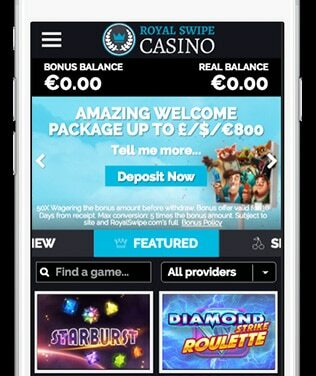 All of our 400 slots can be played on your mobile. Try any and all of them by just signing up! Try your luck at Jackpot Slots for an even bigger payout. Making a phone bill deposit could not be easier. Just follow the steps below. Don’t forget to enter your own and valid phone number. RoyalSwipe will be sending you a confirmation message with a code to that number you will need later! 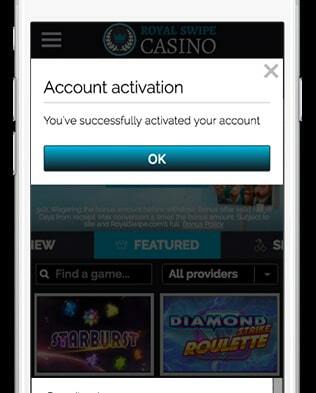 Click on the “Deposit Now” button and you will see a new screen that asks you to secure your account. Click the OK button to activate your account. A confirmation email will be sent including your login details. Keep it safe and secure as it is your ticket to recovering your account! 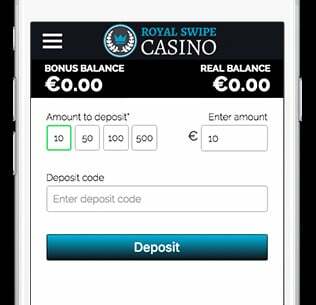 Now that you can pick your deposit method, RoyalSwipe recommends the Mobile Billing option. Pick the “Pay via Phone”. 1) Select the £10 amount. 3) Now submit and you are done! Congrats! Now that you have added £10 to your balance, RoyalSwipe will match it instantly so you can play with your 100% match up bonus! Choose out of our 400 games and start playing now!